I wanted to use it to charge my usb devices. 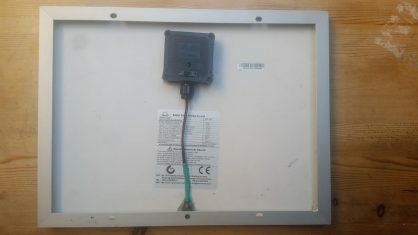 Therefore, I attached the plus and ground pole of the solar panel to the circuit board of a car usb converter. It worked, but wasn’t satisfying – the charging was to slow. 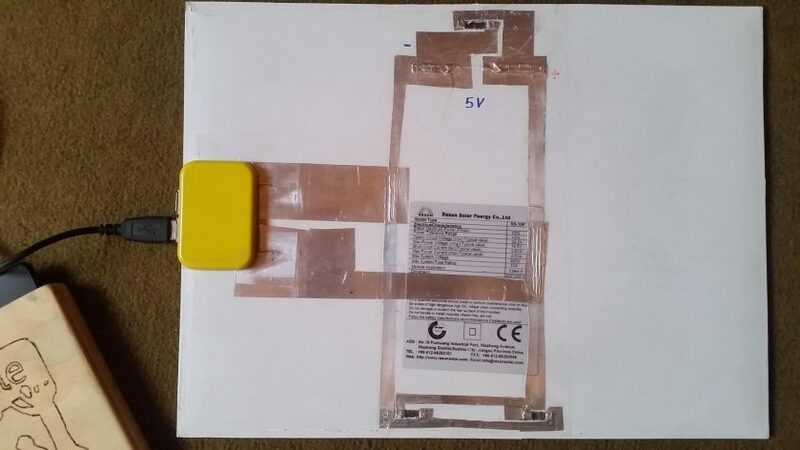 Furthermore I used it to charge my power bank, made from an old laptop battery. 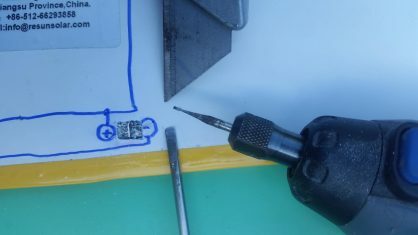 I just connected the battery and solar panel via a diode, in hope, nothing will explode then, due to the missing charging circuit for the lithium ion batteries. Cut off the aluminum frame and remove all useless stuff. 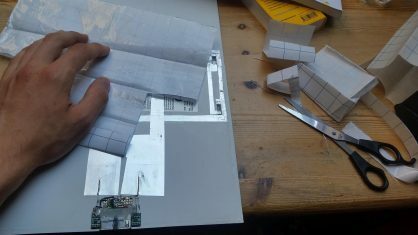 Then tape the sharp glass edges and corners with electrical tape, in order not to cut yourself. Step 2: Interrupting the solar cell bundles! 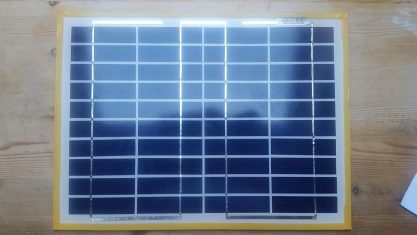 The solar panel is divided into four bundles, each consisting out of 10 solar cells and wired in series, delivering 5V altogether. We are going to interrupt the connections between those sets and rewire them from the outside. 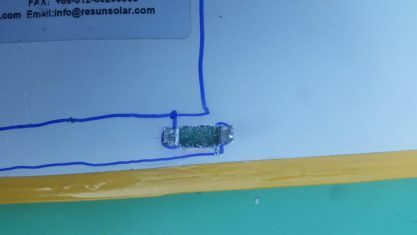 Use a x-acto knife and a rotary tool to drill three holes at the location of the bridges of the solar cell sets. Drill all through the plastic, silicone and the metal wire of the bridges until the glass. Be careful not to break the glass. By doing so, you interrupt the electric circuit of the solar panel. 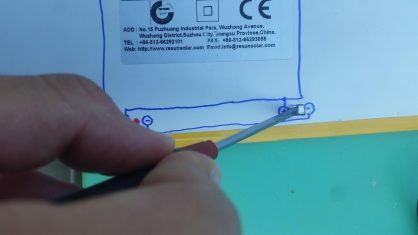 Then use a flathead screwdriver to bend up the legs of the contacts, so that we can access them better. Step 3: Rewiring the solar cell bundles! 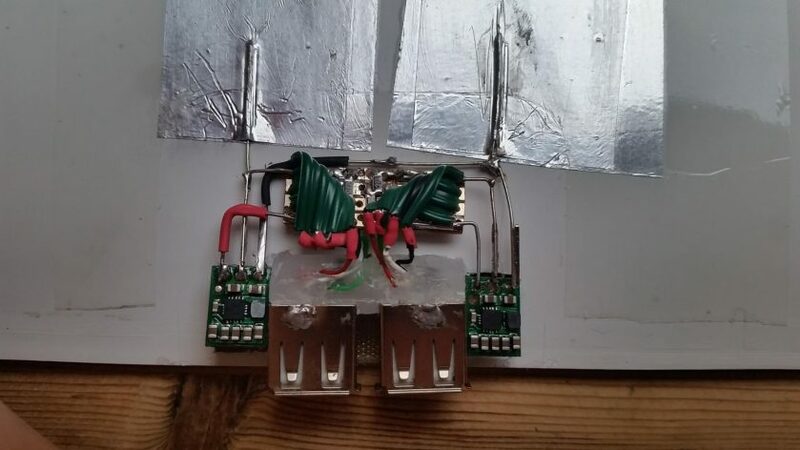 Use a metal tape and a soldering iron to connect the four bundles, consisting out of 10 solar cells each, in parallel. 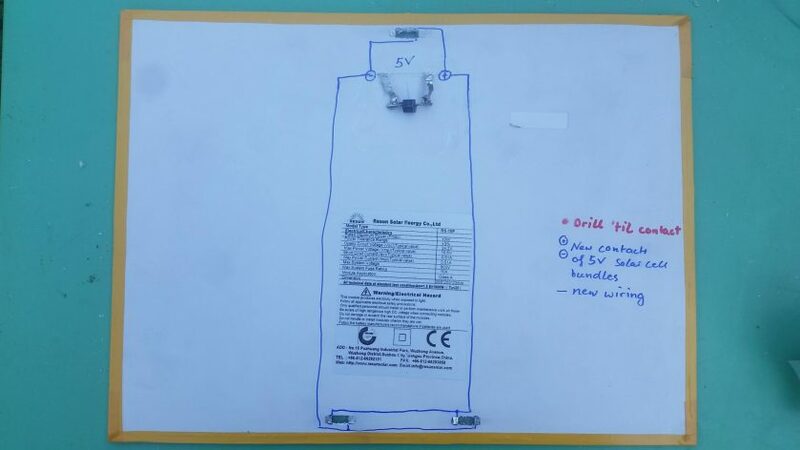 We will achieve a solar panel with 5V output, but a quadrupeld current of about 2.4A. Step 4: Add a voltage regulator! 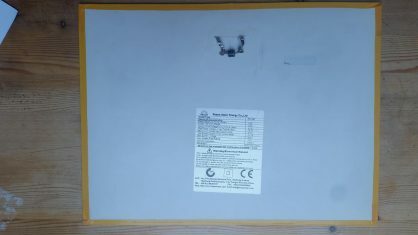 Due to the changing intesity of light during operation, the solar panel now will deliver 0V in total darkness and about 6V in brightest sunlight. 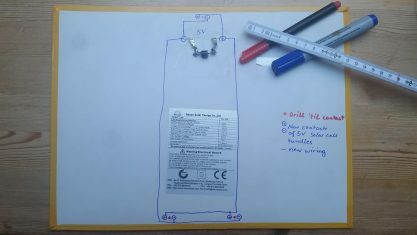 Thus, to safely charge usb devices, leveling the output voltage around 5V is inevitable. The circuit we are going to use is a buck-boost converter for the preset voltage of 5V. 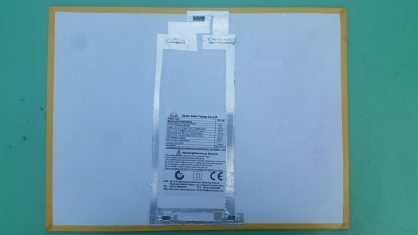 The “Pololu 5V Step-Up/Step-Down Voltage Regulator S7V7F5” can be bought on this website: https://www.pololu.com/product/2119. If the input voltage exceeds 5V, this circuit will decrease the voltage to 5V. When the input voltage drops below 5V, it will be boosted up to 5V at the expense of the current. 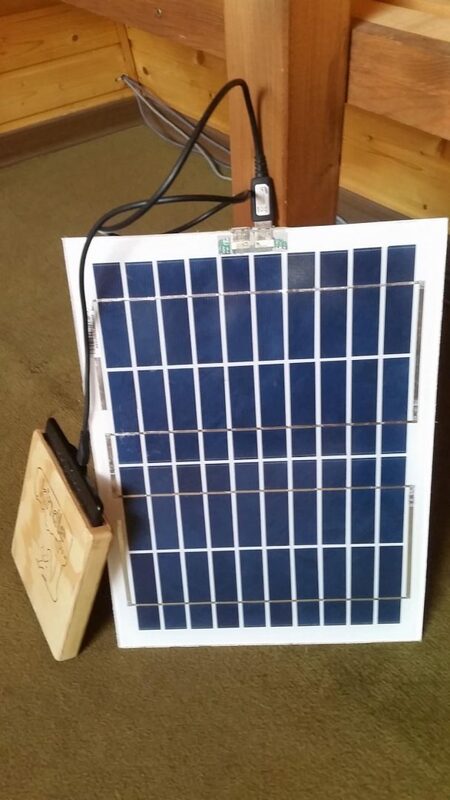 This provides charging your usb device in shade and bright sun light. For the dual usb output, I used one buck-boost converter for one usb outlet, respectively. 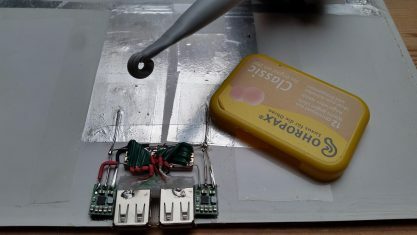 Using resistors, you can build a voltage dividers for the data lines of the usb dock, in order to allow charging specific devices like Apple iPhones. 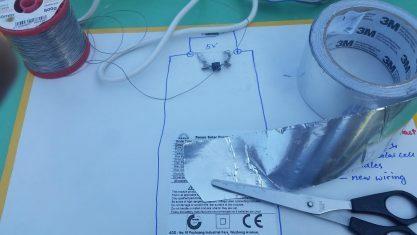 The last step is to cover the conductive tape with a plastic foil and to cast the voltage regulator circuit in silicone and a plastic case. Congratulations! 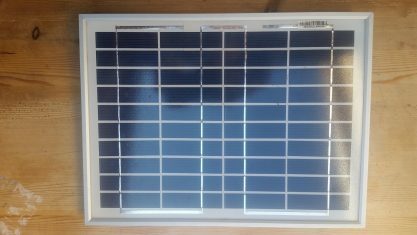 You now have improved your solar panel in terms of charging efficiency, weight and size. Think about attaching it to your hiking bag pack or using it in your caravan the next holiday in the wilderness!